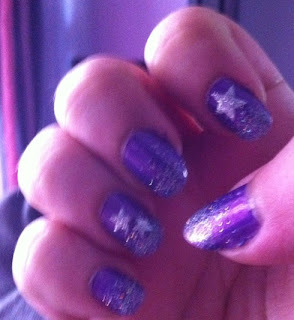 today I have a starry manicure to show you. As you might or might not know, I love stars. 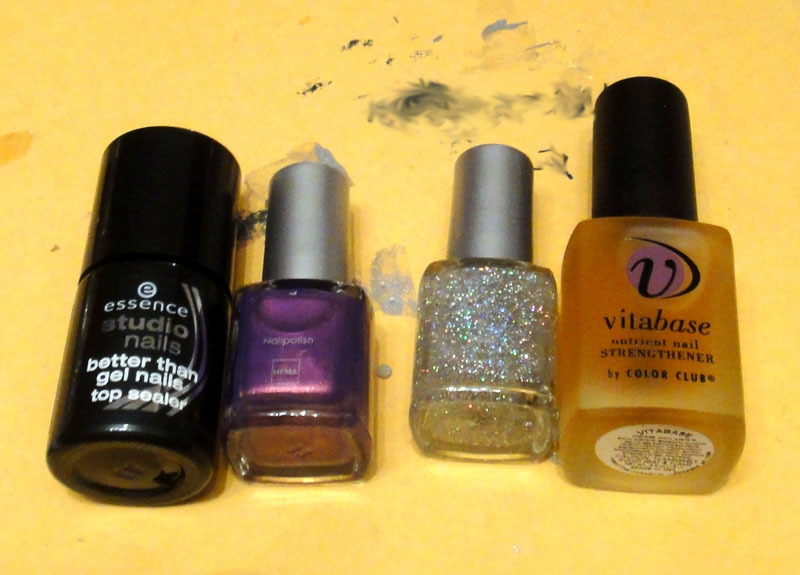 So I wanted to do a manicure combining all of the above. 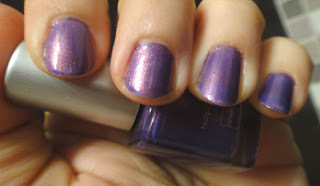 After applying my base coat, I painted two coats of the purple Hema polish. As you can see it probably needed a third coat to get full coverage but as I had other plans for this mani, two were enough. Afterwards I sponged glitter on the tips of my nails and applied the nail stickers. Sealed everything with the fabulous Better Than Gel Nails top coat from Essence and the look was finished. I highly recommend this top coat, if you want a cheaper alternative to Seche Vite. It's almost as good and I am loving it so far! Oh! Love that mani and that glitter as a final touch is awesome! I did a swap with Stéphanie too ;)! She's a sweetheart! Very pretty, I love the glitter! That's a very cute manicure! Do you still know the brand of the stickers? Those are very cute! 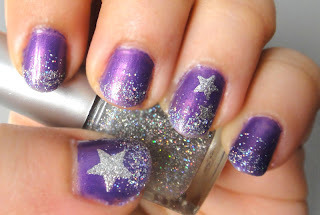 I love stars and glitter too! It's like a summer's night on crack, love it! Πολύ όμορφο!! Όχι καλέ!!! ένα σπασμένο νύχι δεν θα μας χαλάσει την διάθεση!! lovely...so it reminds me the night sky....my nails brake too....some vitamin is missing here!! 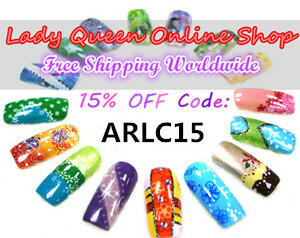 Thank you so much for your kind comments, I am happy you liked this mani. It was actually quite simple to execute. @Kayono the stickers brand I am not sure but I got them from DonKi at Roppongi.